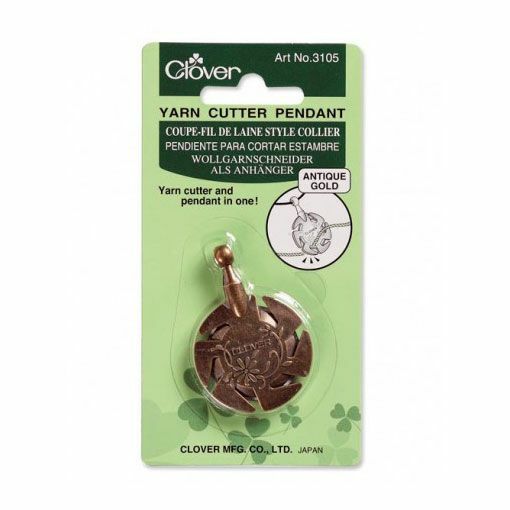 Wear this antique gold yarn cutter pendant around your neck and never be caught without a way to cut your yarn again. This stylish piece will be a topic for discussion around the crafting table as you use the encased rotary cutting blade to easily cut your yarn on the go. 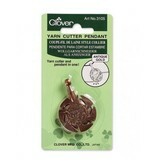 The Clover Yarn Cutter Pendant is safe to wear because of the metal case that surrounds the blade and the pendants grooves allow for easy access to the blade.